Join the B104 Text Cub! Text ‘B104’ to 59457 to join right now! Vote for your favorite artists? Chat with the B104 gang? Then join the B104 Text Club and get started! We know you have your phone with you, and never leave home without it. 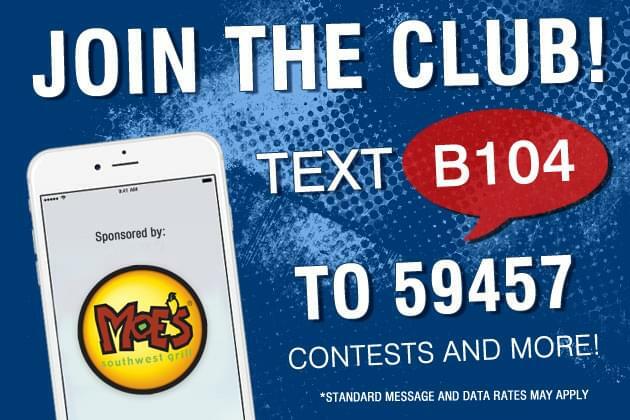 So, text ‘B104’ to 59457 to join the B104 Text Club now!